Pro-forma Invoice is an abridged or estimated invoice sent by a seller to a buyer in advance of delivery of servives/goods. It notes the kind and quantity of services/goods, their value, and other important information. Proforma invoices are commonly used as preliminary invoices with a quotation, or for customs purposes in importation. They differ from a normal invoice in not being a demand or request for payment. In our billing system Proforma Invoice can be used as a request of payment in advance. For example, it can be created 1 month before the occuring payment, so you will see if customer is able to pay the Proforma Invoice. When proforma invoice is created, the customer’s balance hasn't changed. The main reason for this billing approach is to prevent the payment of VAT tax for non-paying customers. If the customer pays the amount specified in the Proforma Invoice PDF, the company can issue a tax Invoice. All issued Proforma invoices can be found in Finance → Proforma Invoices. It is possible to range them by particular period of time or partner. 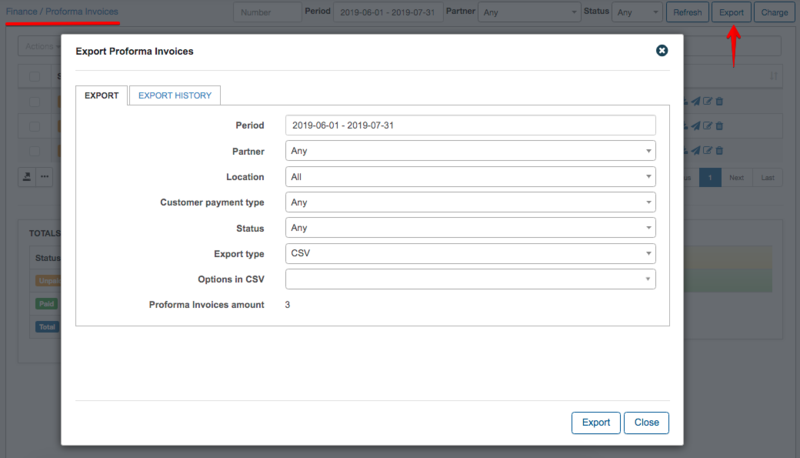 By clicking on a period you can set it up manually, so you can select the option to show all proforma invoices for today, yesterday, last or 30 days, this or last month or just choose a custom range and click on Apply. 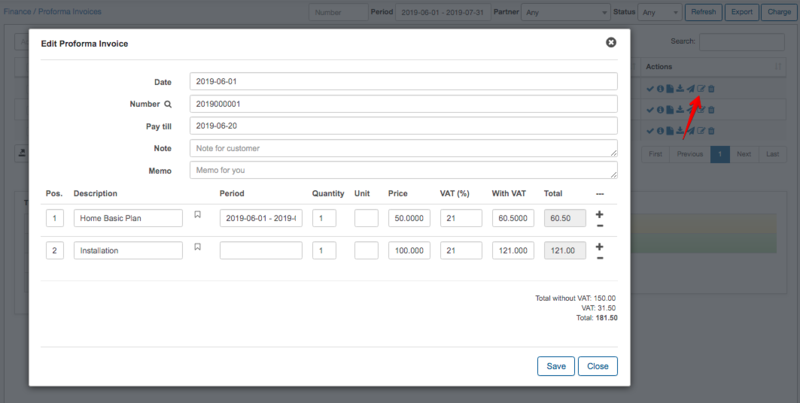 It is possible to operate with every proforma invoice with icons in the column Operations. 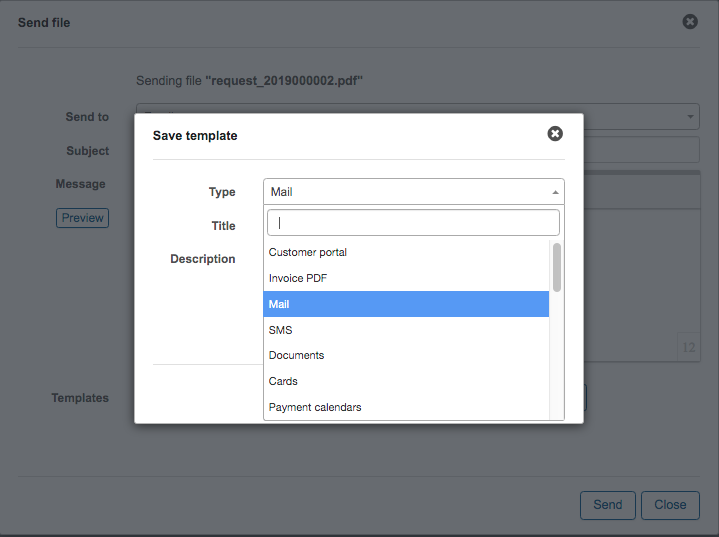 To be able to view the proforma invoice in PDF with icon , it is necessary to configure an invoice template first in Config → System → Templates and define template values in Config → Finance → Template Values. 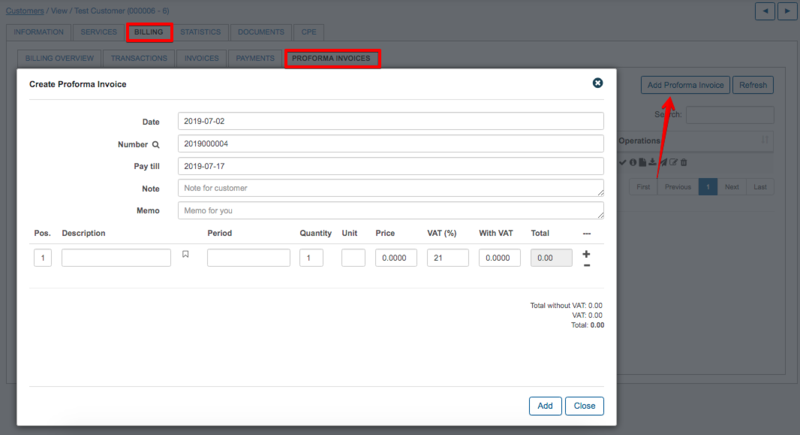 More information about Invoice's template configuration you can find here - Templates, Invoices. 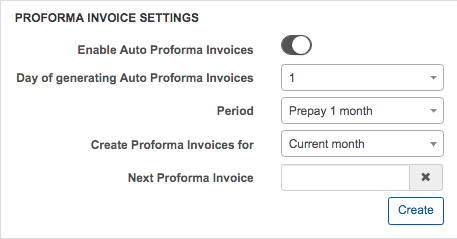 You can also set up proforma invoices global settings for all customers in Config → Finance → Settings. To edit the proforma invoice with , click on the tab Billing → Proforma Invoices. 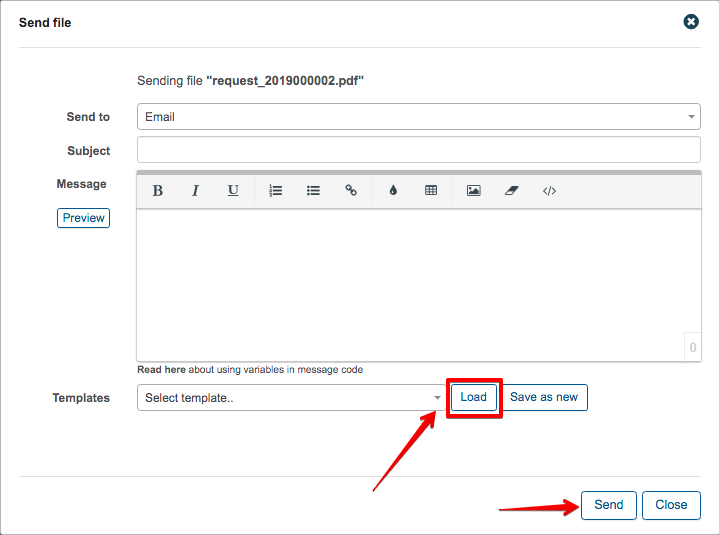 It is possible to send the proforma invoice via email with (if the email server is configured). You can write a message body or choose it from templates and load it. You can also write here a message body and save it as a template. To print or export the list of proforma invoices for accounting purposes, click on Finance → Invoices and click on Export. You can select here Period of time, Partner, Location, Customer payment type (cash, bank transfer, PayPal, Credit card, refill card etc. ), Status (paid\ unpaid), Export type (CSV, PDF file inactive, one PDF file etc.). You can also check an export history here. 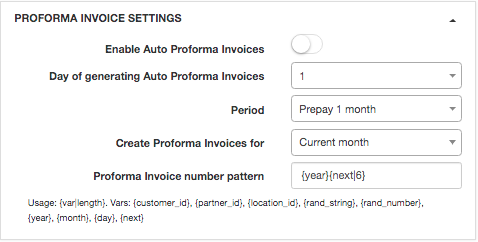 It is possible to enable auto making of proforma invoices in Customer's Billing → Billing overview with choosing particular day, month and type. 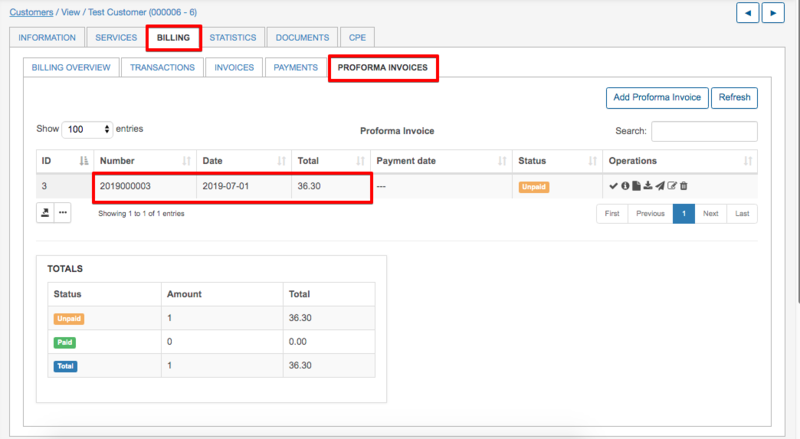 There is a possibility to create Proforma Invoice manually by clicking on Add Proforma Invoice in Customer's Billing → Proforma Invoices.